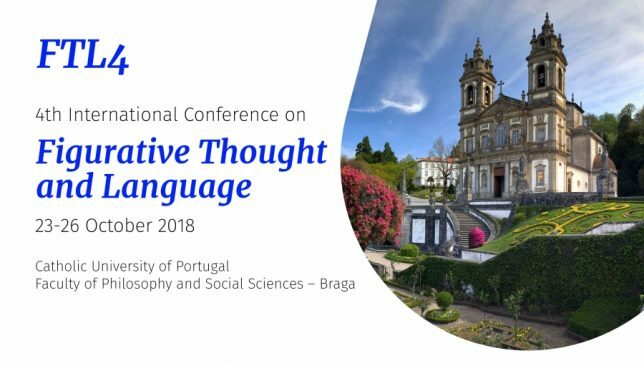 10 to 12 of October, III International Conference of Pedagogy Education, Faculty of Philosophy and Social Sciences, Universidade Católica Portuguesa, Braga. 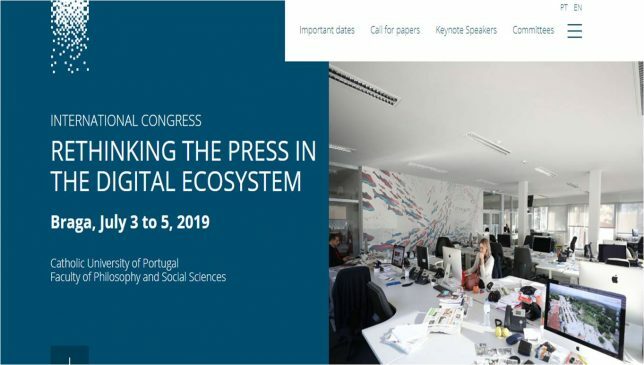 3 to 5 of July of 2019 – International Congress RETHINKING THE PRESS IN THE DIGITAL ECOSYSTEM, Faculty of Philosophy and Social Sciences, Universidade Católica Portuguesa, Braga. 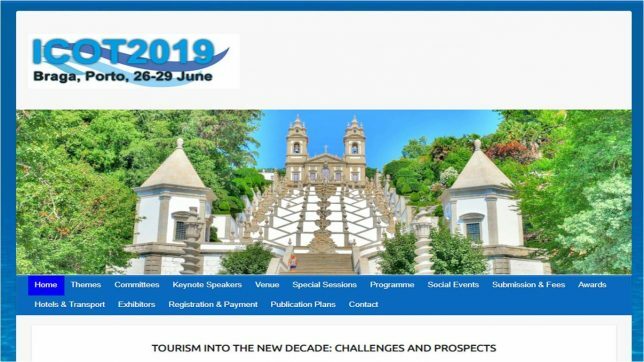 26 to 29 of June of 2019 – ICOT 2019 – International Tourism Conference – TOURISM INTO THE NEW DECADE: CHALLENGES AND PROSPECTS,Faculty of Philosophy and Social Sciences, Universidade Católica Portuguesa, Braga. The Philosophy Research Group of the Center for Philosophical and Humanistic Studies (CEFH) held the second session of the THINKING ARTS Colloquium, which had as its theme: Exhibition Spaces | Reflective Spaces. 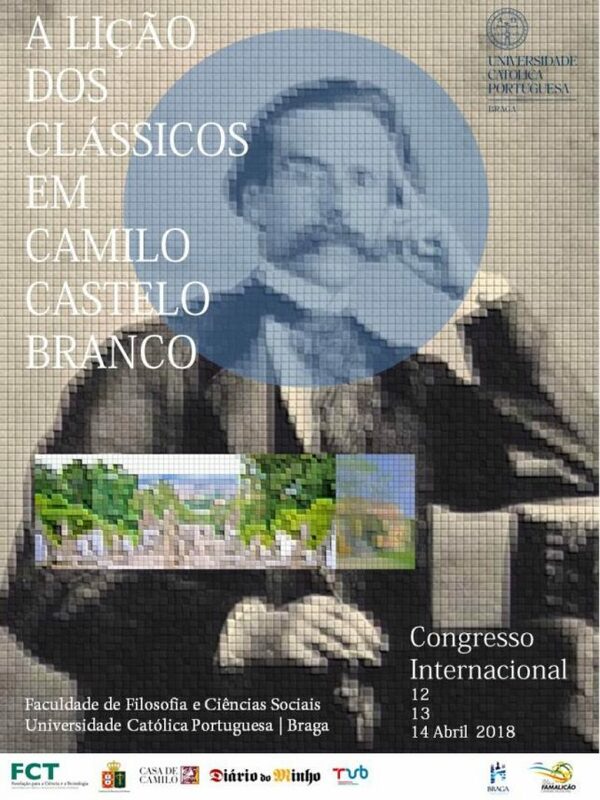 Museums, Academies and Galleries, today. 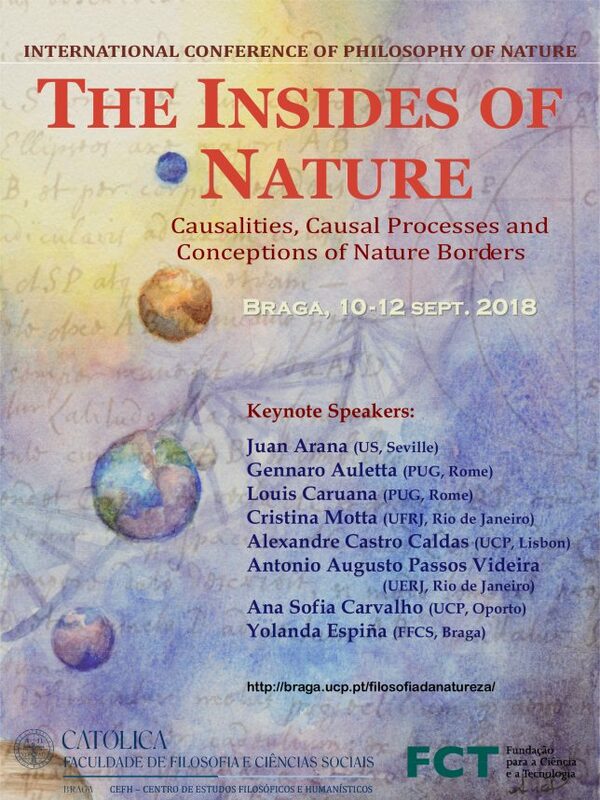 Invited speakers were José María Luzon and Mário Sequeira, under presentation and moderation of Augusto Soares da Silva and Yolanda Espiña.